Erwin A. “Jack” Rose Jr., 89, of West Bend, passed away on Monday, January 28, 2019 at the Kathy Hospice, in the town of Polk, with his wife at his side. 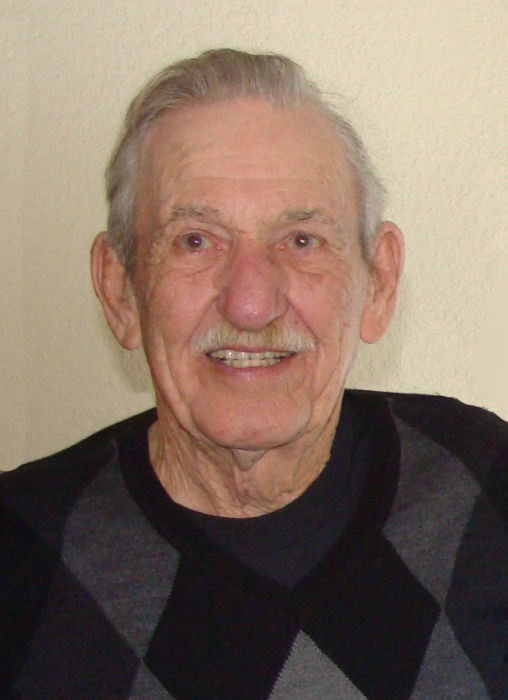 Jack was born on December 22, 1929, in West Bend, to the late Erwin and Marie (Neuy) Rose. On July 19, 1971, he was united in marriage to Mary Ann Biertzer in Waukegan, Illinois. Jack proudly served his country in the U.S. Army from 1949 through 1956. Following his discharge from the army he became a mason and enjoyed hunting and fishing. He loved everything with the outdoors but above all else he loved his family and grandchildren. Those Jack leaves behind to cherish his memory include his wife, Mary Ann Rose; two sons, Jamie (Patti) Rose and Jonathan (Nancy) Rose both of West Bend; papa to Gabrielle Rose, Seth Rose, Morgan (Scott) Steldt, and Jake Gradinjan; two great-grandchildren, Malone and Waylon Steldt; three brothers, Arthur (Jane) Rose, Kenneth Rose, and Roger Rose all of West Bend; one sister, Pat Jossart of West Bend; three brothers-in-law, Donald Biertzer, Dennis (Bev) Biertzer, and Mark (special friend, Darlene) Biertzer; a sister-in-law, Dawn (Tom) Rinzel; nieces, nephews, other relatives and friends. In addition to his parents, Jack is preceded in death by a son, Jack Rose; three brothers, Robert Rose, Donald Rose, and Richard (Bernice) Rose; two sisters, Virginia Biertzer and Shirley Biertzer; two sisters-in-law, Sheila Rose and Dorothy Rose. A memorial service for Jack will be held on Saturday, February 2, 2019, at 3:00 p.m. at the Myrhum Patten Miller & Kietzer Funeral Home, 1315 W Washington Street, in West Bend with Deacon Mike Koebel officiating. Jack’s family will greet relatives and friends at the funeral home on Saturday from 1:00 p.m. until the time of service. Jack’s family would like to extend a heartfelt thank you to the caretakers at Samaritan Health Center and Kathy Hospice. The Myrhum Patten Miller & Kietzer Funeral Home has been entrusted with Jack’s arrangements. Additional information and guestbook may be found at myhrum-patten.com.